Véronique Chemla: State-backed Anti-Semitism in France? 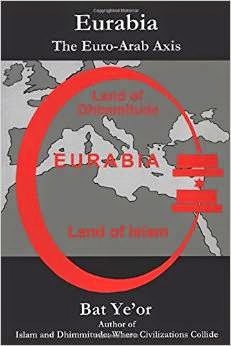 Since Intifada II began (2000), France has led an undeclared, cruel and cupid war against its Jewish citizens: the controversial al-Dura report was an iconic missile in the media battlefield, the Krief affair and many others illustrate the economic battlefield of that asymmetric warfare: a "government of judges" has been despoiling Jews. France has also intensified his fight in order to delegitimize and to diabolize the Israeli State, as wall as to viciously attack Judaism: France refused to vote against UNESCO resolutions which denied Jewish ties to Jerusalem and other Biblical sites. 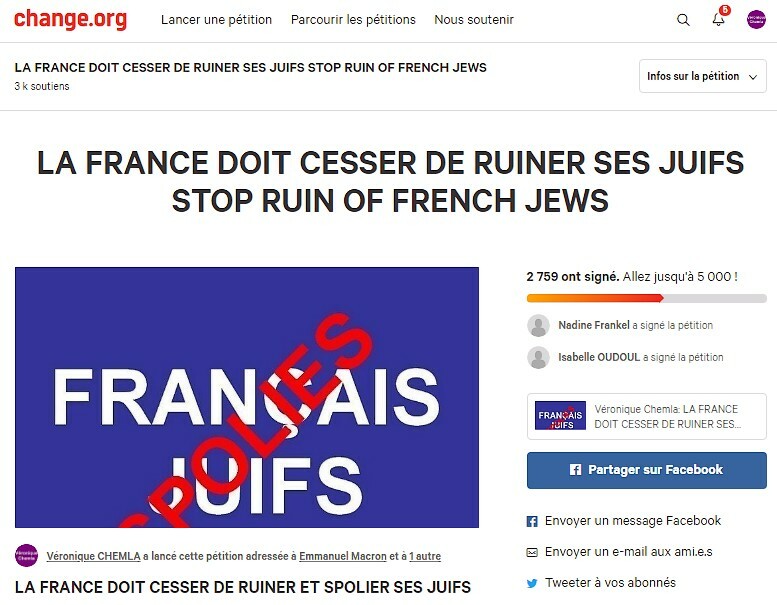 Furthermore, Jews's part in the History of France has been erased, official terminology has denaturalized Jewish French by calling them "Jews of France", etc. 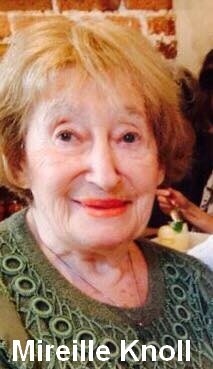 Holocaust survivor Mireille Knoll, aged 85, has just been killed in her Parisian apartment. "It is a problem which does not exist ... Bu****it, peanuts, lies ... I think it is propaganda, Israeli propaganda ... Zero! None whatsoever. It's a lie." 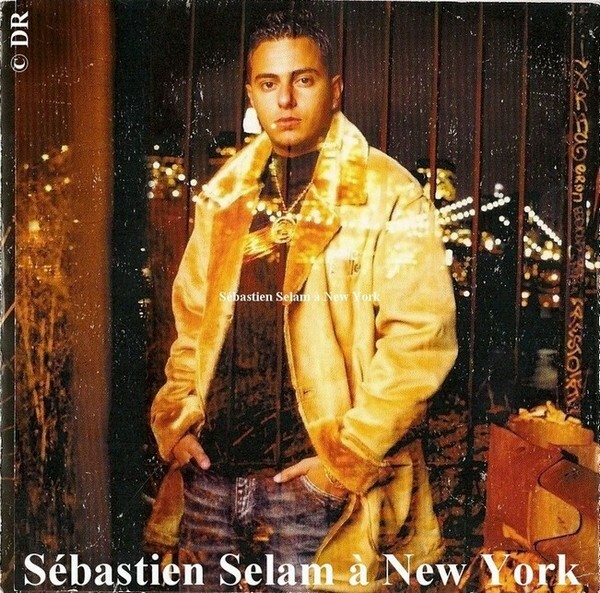 "It's crucial to Israel and to the whole world for Jews and Arabs in France to get along. These relations are of strategic importance: if they cannot live in harmony here, they cannot live in harmony anywhere". "We have the good fortune of living in a country where the authorities and the political parties vigorously reject anti-Semitism. Unfortunately, in certain neighbourhoods -- which Jacques Attali apparently does not go to -- we are witnessing an increasing trend toward a climate of abhorrence of Jews which expresses itself through insults and, quite often, through physical aggression". At the same time, SPCJ (Jewish Community Protection Service) published worrying figures: 631 anti-Semitic actions were recorded in the first half of 2009, 360 of which occurred in January during the Israeli Cast Lead military operation in Gaza, compared to 474 for the whole of 2008. "The word 'anti-Semite' designates Arabs too ... 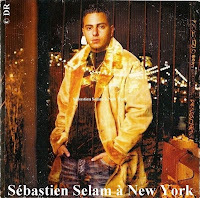 It is more difficult in France to be a Muslim than to be a Jew". Finally, Attali expressed his support for Charles Enderlin in the al-Dura affair. "[President Mitterrand] did not feel a certain fear about Germans, contrary to... Jacques Attali, who is Jewish. 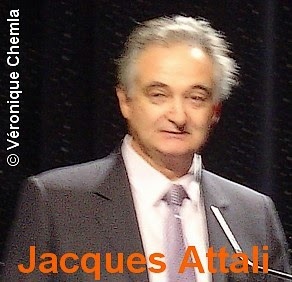 Attali was trying to attract Mitterrand to his own concerns, but unsuccessfully". An indignant Attali denounced Bianco's "unconscious anti-Semitism." 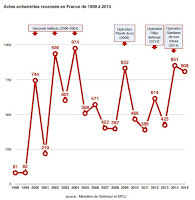 On December 13, 2009, French Minister of the Interior Brice Hortefeux said that 704 anti-Semitic incidents have occurred in France between January and September 2009, compared with 350 incidents between January and September 2008. Left-wing Attali has stirred up a recurrent controversy since 2000 in France about the worrying problem of anti-Semitism. 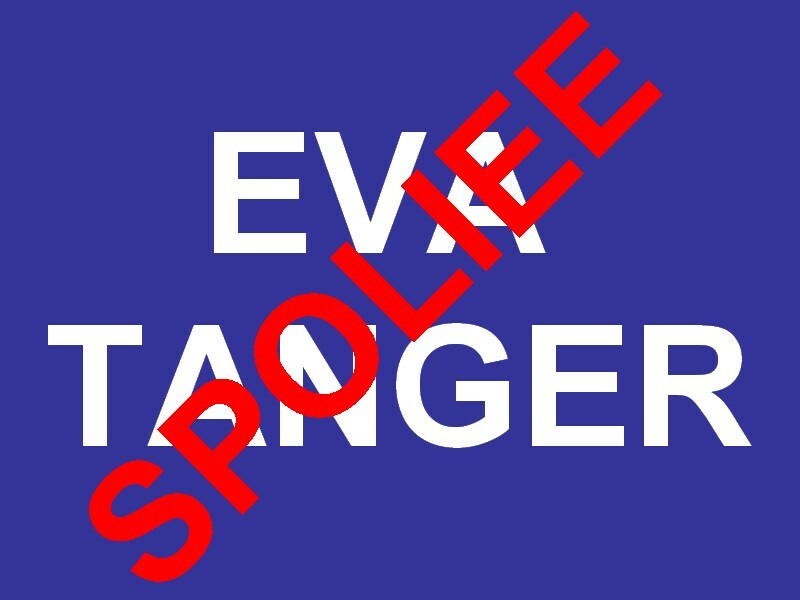 The problem was denied or minimized until 2002 by French public authorities, especially by left-wing leaders such as Prime Ministre Lionel Jospin. As Algeria-born professor Shmuel Trigano noted, it was then not "politically correct" to admit that many anti-Semitic incidents were committed by perpetrators of Muslim migrant descent; migrants were perceived as "innocent" because they were victims of racism. Attali is denying a troubling reality. 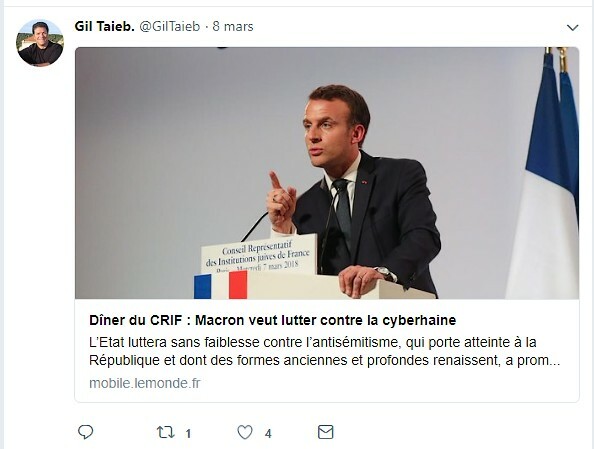 For instance, he not only contests that anti-Semitism exists in France -- and the French National Consultative Commission on Human Rights' figures refute this position -- but he also disputes the meaning of anti-Semitism (i.e., hatred of Jews). When I asked Attali for an interview, he refused. Many facts, including the al-Dura affair, France's tolerance of boycotts of Israeli products, and French anti-Zionism, contradict Attali's allegation. On September 30, 2000, France 2 TV broadcasted controversial footage authored by Charles Enderlin and his Palestinian cameraman Talal Abu Rahma alleging that Israeli soldiers killed the young Palestinian boy Mohamed al-Dura. This libel fueled anti-Semitism throughout the world. Various experts (including Israeli physicist Nahum Shahaf and Israel-based Metula News Agency's editor in chief Stéphane Juffa) raised serious doubts as to the credibility of the footage. In 2004, Philippe Karsenty, the head of French media watchdog Media-Ratings, wrote that the footage was a "masquerade," a "fraud," and a "hoax." 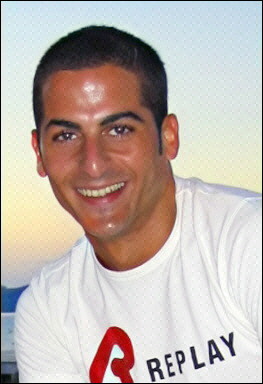 On May 21, 2008, the Court of Appeals of Paris dismissed France 2's defamation charges against Karsenty. France 2 is a public national channel which broadcasted that blood libel. Moreover, the head of France 2 has refused to investigate whether the facts alleged by the footage were real or not despite his agreement on September 18, 2008 on an "independent expert working group." Furthermore, France 2's regulatory authorities -- the French Ministry of Culture and Communications and the Conseil supérieur de l'audiovisuel (an "independent authority to protect audiovisual communication freedom) -- refused to act in order to bring the truth to light. And on December 8, 2004, the Council of State dismissed writer and journalist Serge Farnel and his lawyer Maître Stéphane Haddad, who wanted to seek that truth in the al-Dura affair. 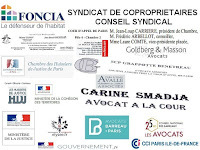 Let's add the fact that French Ministry of Justice does not sue all those who call for the boycott of Israeli products -- but those calls to boycott "are liable for prosecution," as acknowledged by the Minister of Justice's Chief of Staff. 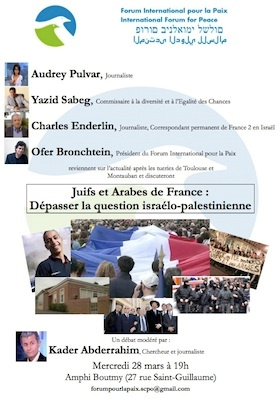 The core problem is a French refusal to fight against new forms of anti-Semitism, such as "radical anti-Zionism" (writer Jean-Christophe Rufin). 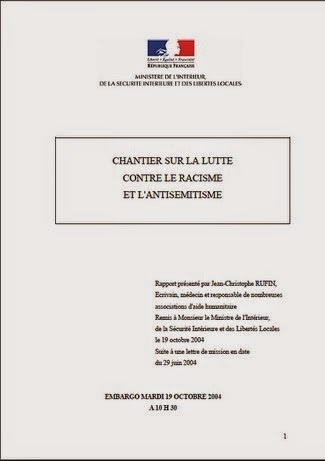 In 2004, Rufin wrote in his government-commissioned report on racism and anti-Semitism that "it is not conceivable today to fight actively in France against anti-Semitism in its new mutations without going all-out to try and balance anew the public's view of the situation in the Middle East." All these facts dismiss Attali's "no anti-Semitism in France" idea. The situation in France is complex. Of course, there are no anti-Semitic laws. 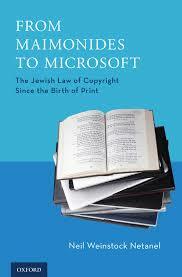 But, some public institutions do not always function in a satisfying or normal way when dealing with Jews or Israel. Why does France, which aims at maintaining a sense of "vivre ensemble" (living together) in a multicultural society and boasts of its values of equality and fraternity, tolerate such blood libel and calls to boycott Israeli products? 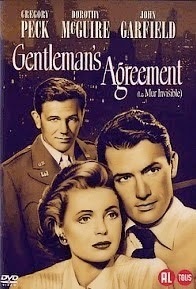 Is it a Gentleman's Agreement, to borrow the title of Elia Kazan's movie (1947) which dealt with a journalist investigating anti-Semitism in the U.S.? 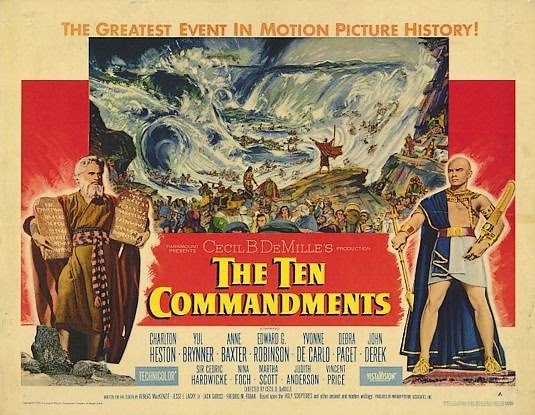 Years ago, Muslims in the "land of Islam" assimilated the Christian European concept of blood libel. And now, does France want public opinion to be influenced by the return to the West of that concept? Does France fear to confront the "Arab street" or "Muslim Street" by stating the truth, which dismisses infanticide charges against Israel? Does France want to preserve its "Arabic policy" which through tolerating the marginalized Jewish State's demonization or calls for boycotts justifies pressures on this weaker state? 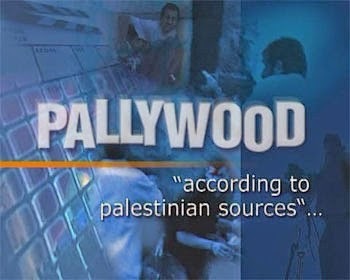 Does France want to keep confidential that secret de Polichinelle -- "public secret" (historian Richard Landes) -- Pallywood, Palestinian audiovisual industry, which makes anti-Israeli and anti-Jewish propaganda? 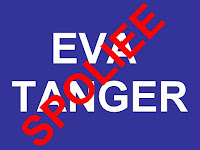 Is that a step toward the disappearance of the "State-of-Israel-which-kills-children" or its sacrifice on Eurabia's altar? 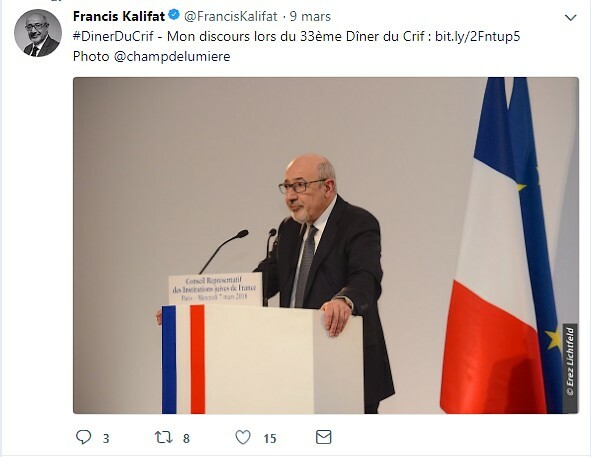 On April 9, 2015 French National Consultative Commission on Human Rights (CNCDH)'s annual report on racism, anti-Semitism and xenophobia revealed that 851 anti-Semitic acts were recorded in 2014, against 423 in 2013. 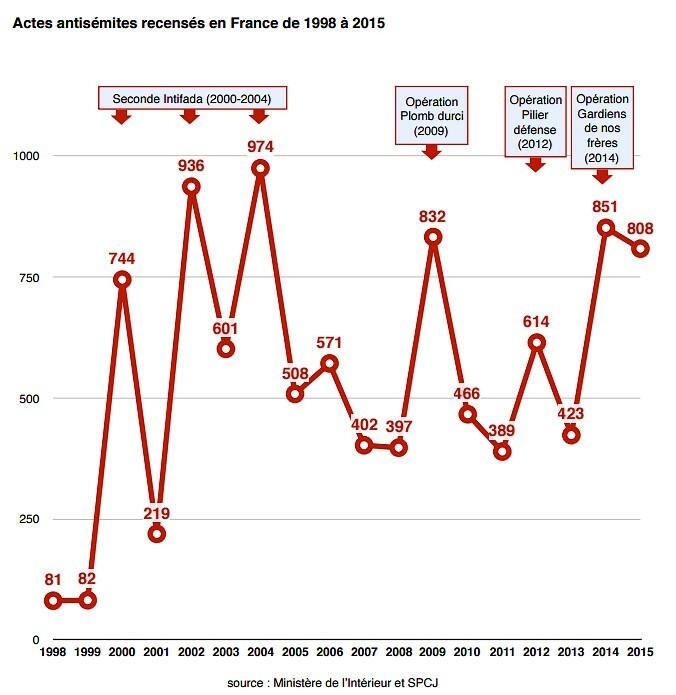 ‣ 808 Antisemitic acts committed in France in 2015 led to filing a complaint. This number is extremely high. ‣ In 2015, 29 people (men, women, children, babies) were taken hostage in a kosher supermarket on 9 January 2015. 4 people were executed. ‣ For the first time, Antisemitism in France reached a very high level regardless of the armed conflict in the Middle East. 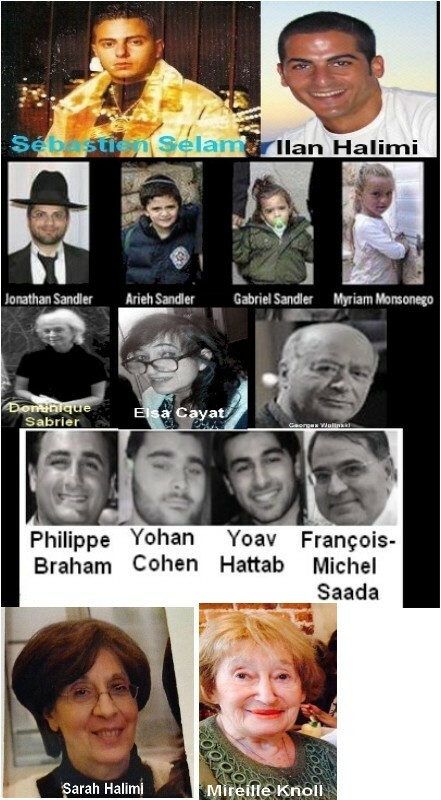 ‣ Once again in 2015, Jews, who represent less than one percent of the total population, are the target of 40 percent of all racist crimes committed in France, and 49 percent of racist violent acts committed against people. 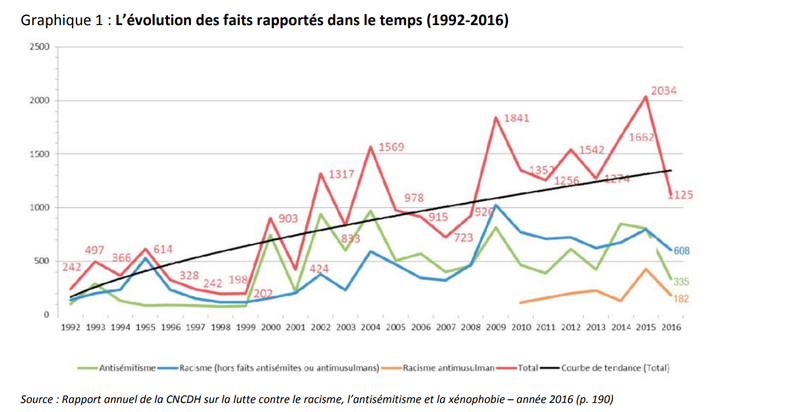 ‣ In France, there were on average two Antisemitic acts perpetrated every day in 2015. ‣ In 2015, many victims of Antisemitic acts said that they preferred not to file a complaint for Antisemitic insults, threats or light violence, while others were executed a few months earlier because they were Jews. ‣ The number of Jews that leave the country or think about leaving France for another country keeps on increasing. 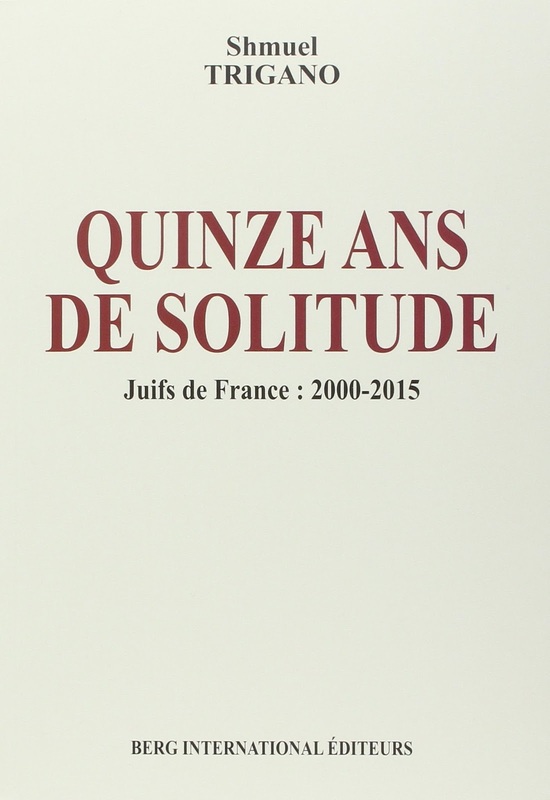 A large proportion of French Jews do not feel at ease within society and feels misunderstood even besides security issues", SPCJ said. 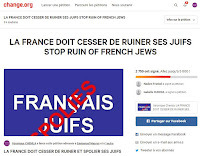 On March 7, 2016, Jewish Community Security Service's annual report on anti-Semitism revealed that 808 Antisemitic acts were committed in France in 2015, against 851 anti-Semitic acts in 2014 and 423 in 2013. 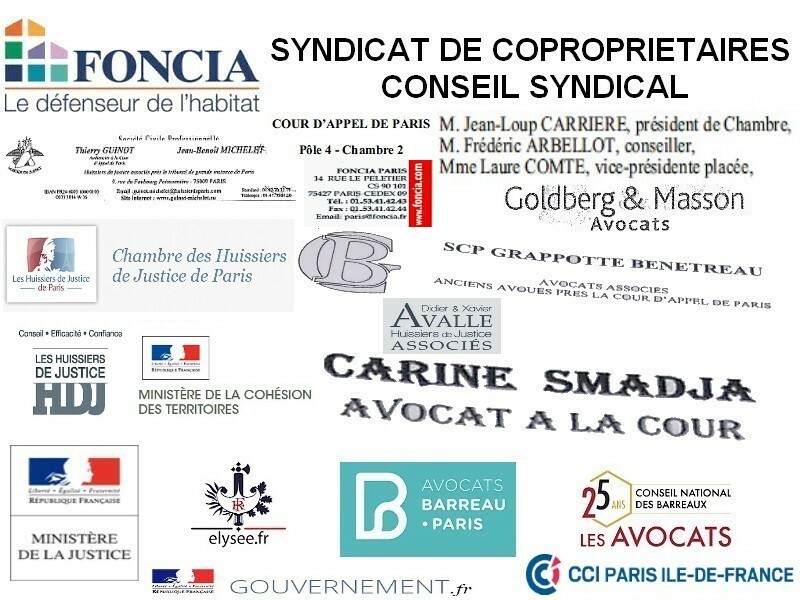 Although French constitution refuses to establish a judicial power, a "government of Judges" has emerged since a few decades. It appears to be a judicial power with no counter-power. It is correlated with the decline of authority: inside families, towards teachers in schools, towards policemen or fire brigades, etc. 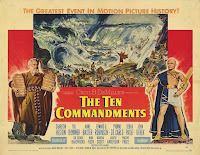 Moreover, France and the European Union have refused to affirm their Jewish as well as Christian roots. A "government of Judges" doesn't apply law, but gives a ruling based on its personal opinions or perceptions of litigations. It is by definition anti-Judaic, anti-Semitic and in a lesser extent Christianophobic. Jews represent the People of the Law. And some magistrates share their fellow citizens's anti-Semitism or anti-Zionism. Comedian Dieudonné has long benefited from judges's leniency before being sentenced. And even when Courts severely condemned him to fines, French administration didn't demand for years fines from Dieudonné. 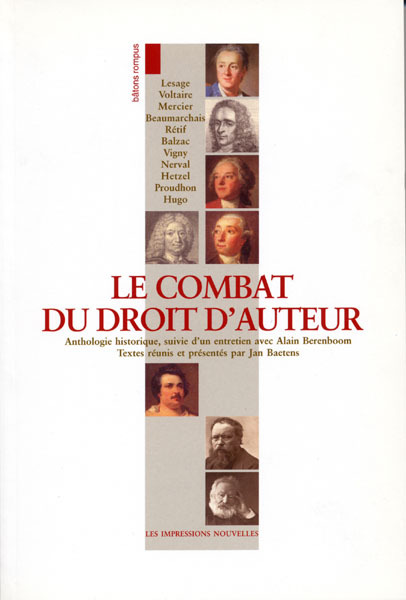 The "government of Judges" perceives French Jewish litigants as threats to their existence. So, it often and severely sentences them although/even if they are innocent. Many French Jews, including nuclear physician Dr Lionel Krief who had to make his aliyah, have been ruined and despoiled by that "governement of Judges". An example of State-backed anti-Semitism that involves centre-right and socialist governments. For instance, the Court of Cassation is the highest court in the French judiciary. In June 18, 2014, its First Civil Chamber President Christian Charruault -- a Chamber specialized in despoilment -- rejected Dr. Lionel Krief’s two appeals and Me Denis Hazane’s appeal. 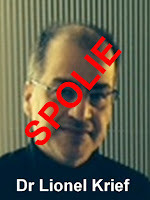 While Dr. Lionel Krief was sentenced to pay € 8,000 ($ 9,000) to the opposite parties for their court costs, Me Hazane wasn’t. 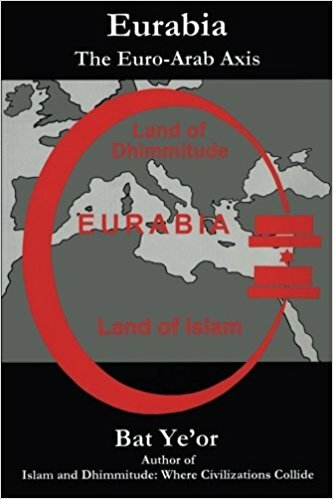 Since decades, France has promoted an "Arabic Policy" and an alliance with the Arab world in Eurabia, a continent which would defy the United States, and which is based on a "Palestine" replacing the Jewish State, defamation and delegitimization of Israel. That "democratic Palestine under Islamic rule" represents a contemporary "al Andalus myth". 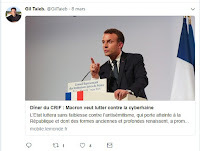 Although the Arab world has collapsed and is frightened by the Iranian military nuclear programme, French diplomacy has remained unchanged: President Emmanuel Macron, like his predecessors -- François Mitterrand, Jacques Chirac, Nicolas Sarkozy and François Hollande --, has persisted in supporting OLP, the biased UNRWA, the "2-States-Solution" as if there was no other alternative. And he welcomed negationist Palestinian Authority leader Abu Mazen (Mahmud Abbas)! 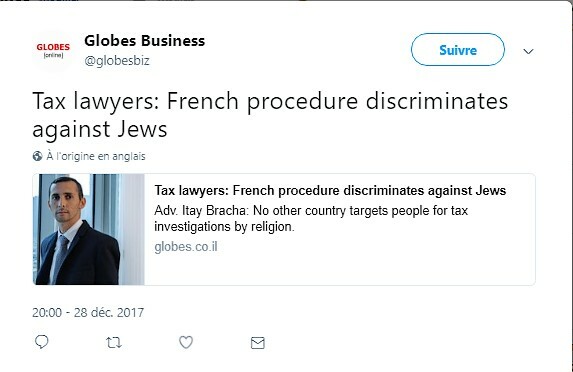 On December 28, 2017, Globes revealed that "France had set up tax department to investigate Jews", including olim, in search of tax evasion. 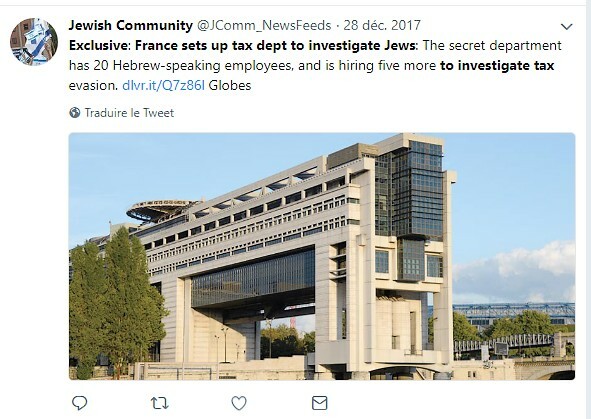 "The French department was established to handle French Jewish tax evaders, and hired employees with professional experience and a profound understanding of Israeli law in order to examine whether Jews were using these laws to evade tax in France. The aim of the department is to catch French tax evaders using Israel as a tax shelter", Globes wrote. Israeli lawyer Me Itay Bracha told Globes "that there is no similar department other tax authorities anywhere in the world. "I know of no similar department to the one founded in France, and certainly not with that number of employees". France's Direction Générale des Finances Publiques (DGFIP) denied such a secret discriminatory department existed. But on July 27, 2018, Me Itay Bracha confirmed to me that two of his clients were investigated by DGFIP. They refused to answer my questions, because they "were afraid". "Antisemitic hatred has a strange ability to reinvent itself in many forms. To combat it, we need a definition that includes all of its current forms, including anti-Zionism and Holocaust denial. The European Parliament has made the same observation. And on June 1, 2017, it passed a resolution that, I quote, "invites member states to adopt and apply the operational definition of anti-Semitism used by the International Holocaust Remembrance Alliance". Mr President, I hope that, like other European countries, France will respond positively to the invitation of the European Parliament. Denial of reality and impunity of the virtual. All this creates a bad climate, conducive to hatred." President Emmanuel Macron refused to evoke Muslim anti-Semitism and anti-Judaism, to adopt the IHRA's definition of anti-Semitism as well as to underline the link between Islam and Islamism. Why? Because he didn't want to stigmatize Muslims and has feared "homegrown" terrorists. He has prefered to fight on line hate... with the support of French Jewish organisations. 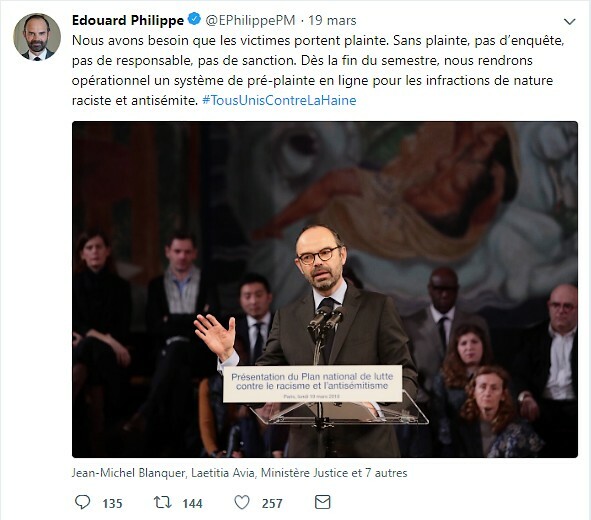 On March 19, 2018, French Prime minister Edouard Philippe presented the government's second national plan to fight against racism and anti-Semitism. He focused on social media and prevention in schools. Prime minister Edouard Philippe presented his plan in the national museum for the history of immigration in Paris. That choice downgraded Jews, who have lived in France for more than 2,000 years, by implying that there are immigrants like other "migrants". It was also a strong sign towards immigrants and their families. Declining over-indebted France has thrown its Jews under the bus, and needs their money. 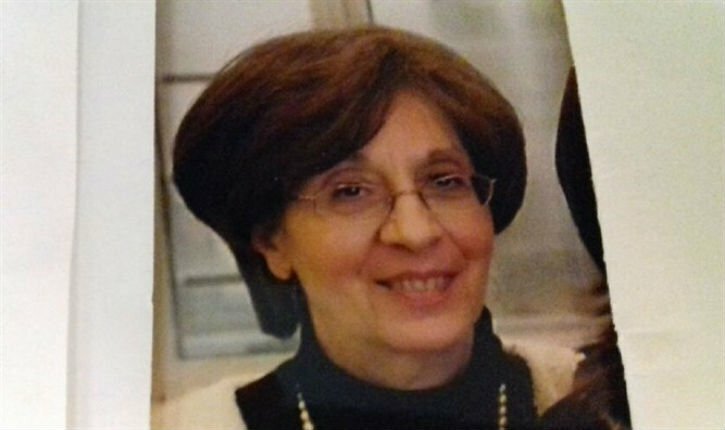 The situation is hopeless for French Jews whose representative are distraught, incompetent or too polite. Worst, French Jewish organizations's responsibles laud successive Presidents and Governments's actions against anti-Semitism. They often appear as their spokemen. But if France's actions against Jew-hatred were efficient, there wouldn't be so many French Jewish victims of Judeophobia. France has offered an alternative to its Jews: either being dhimmis, or being Marranos in Eurabia. 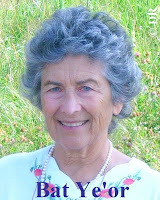 That article was published by American Thinker on December 27, 2009. It was published in my blog on April 13, 2015, then on March 7, 2016 and March 23, 2018.